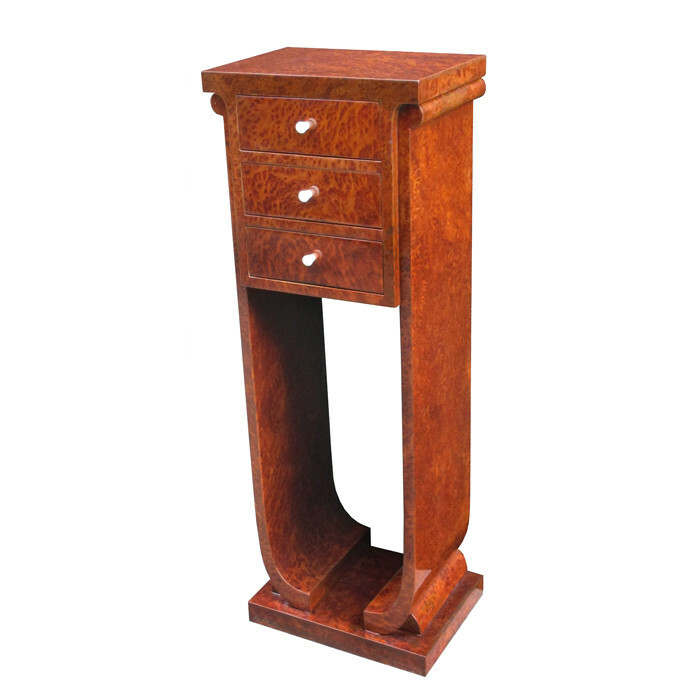 A Jules Leleu designed Art Deco pedestal. Amboyna with U shaped supports, three small drawers and bone pulls. Dimensions: H:45 W:16 D:11¾ Inches.